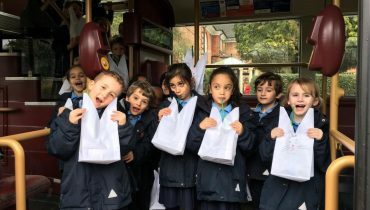 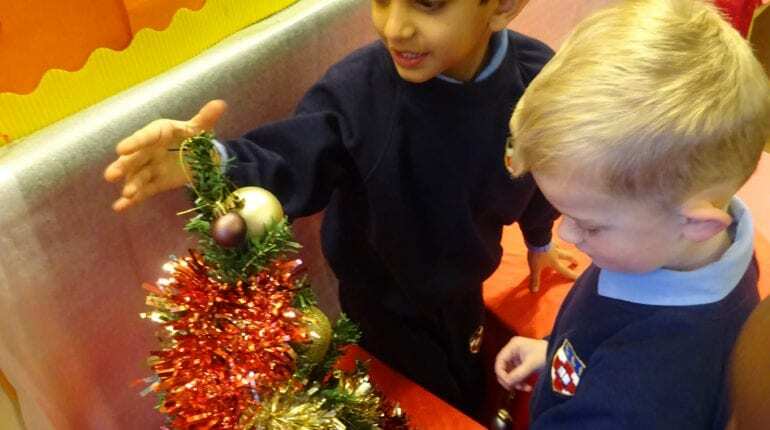 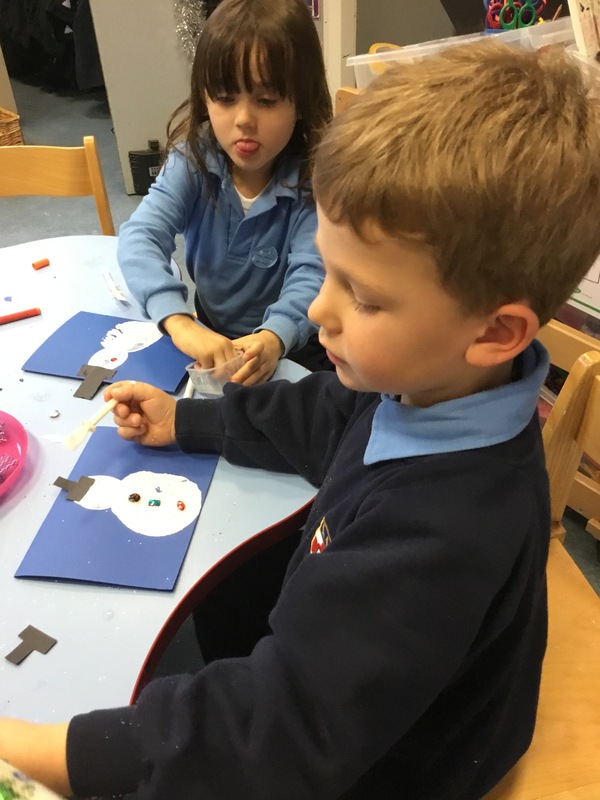 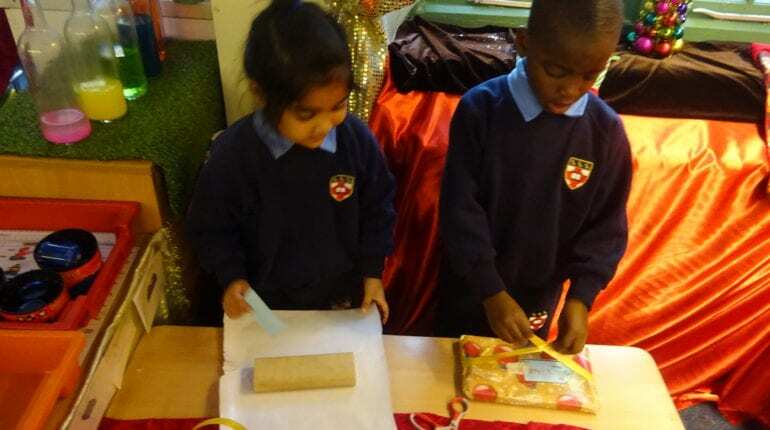 It is an exciting time in Reception where we have been learning all about the Christmas celebrations. 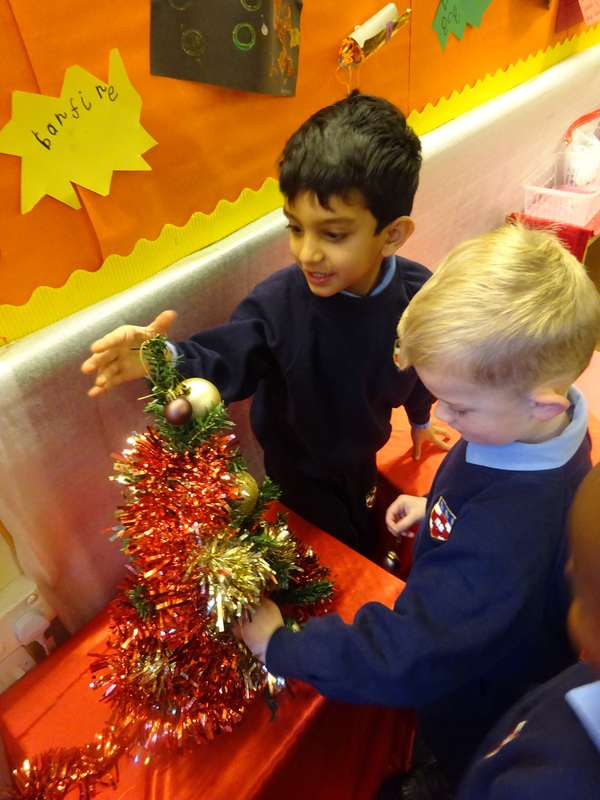 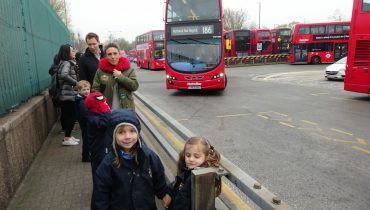 We have been finding out why we celebrate Christmas and also have been learning all about Hanukkah. 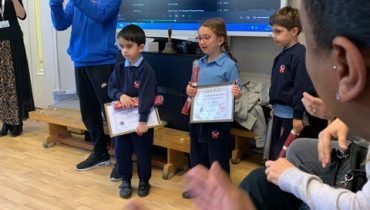 The classes have enjoyed sharing their own experiences of both celebrations. 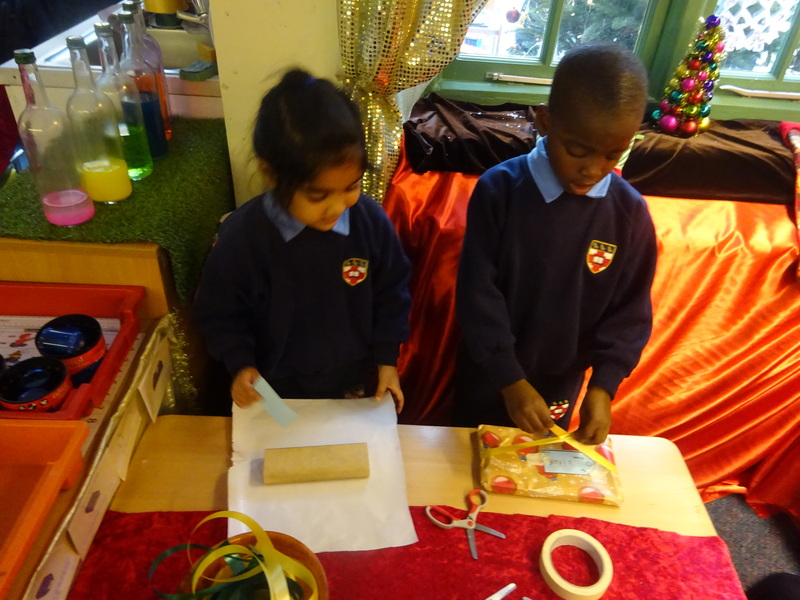 We have been making stockings, wrapping presents, decorating Christmas trees and are beginning to write a letter to FATHER CHRISTMAS!! 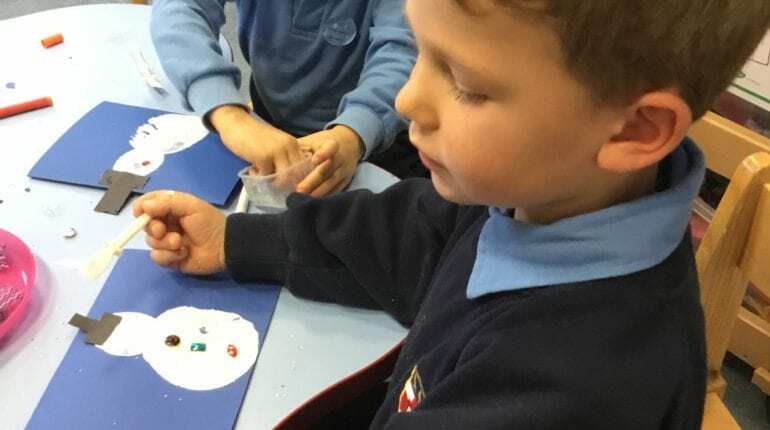 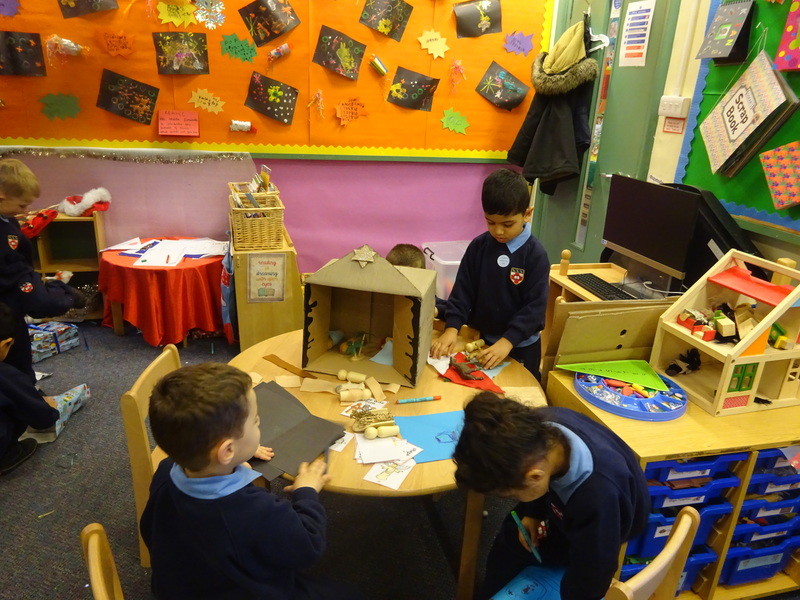 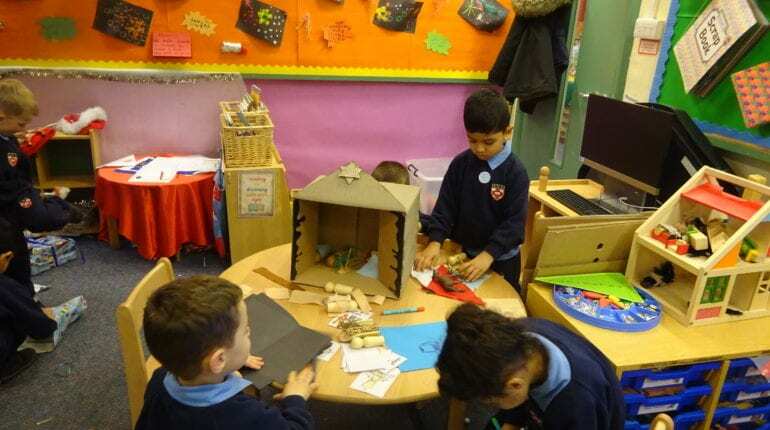 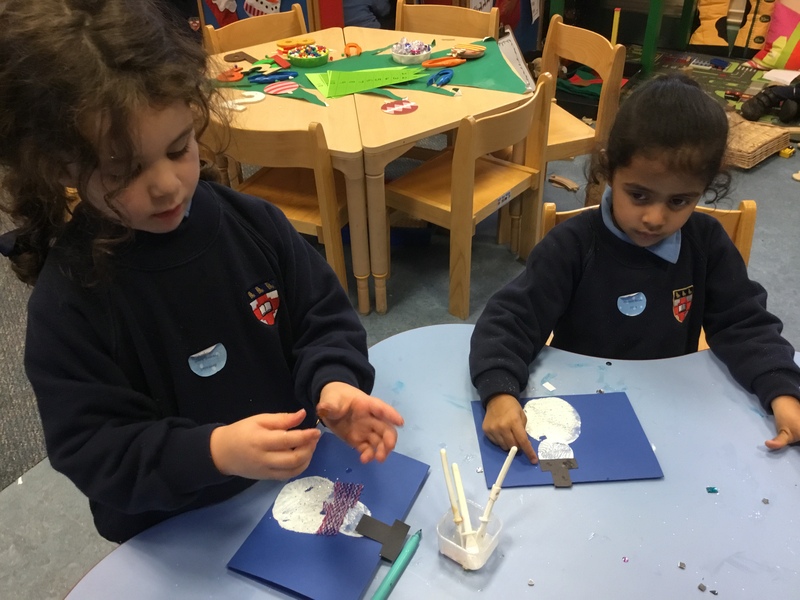 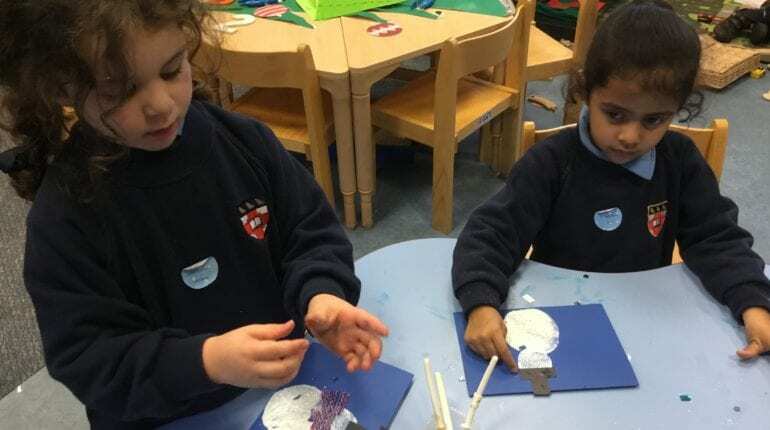 All classes have worked really hard to decorate their classrooms, making their own decorations and choosing where in the classroom they want to hang them.